“Chris has worked with us right from the very start of our business. He was instrumental in working with us at the formation of the company, played a key role in advising us on our procedures and systems and has held our hand every step of the way since. Some 4 years later and now employing upwards of 50 people, we feel a large part of our success has been down to the strong accountancy practices and ‘money management’ that Chris instilled early on in our business. The close working relationship we have formed has allowed us to not only use Chris as our accountant but lately as a business mentor, bouncing ideas off him and involving him in our management meetings to discuss further direction and development of the business. Mark Richardson - Director, Connect-IP Limited. "MVS have been using CLH Accounting since 2007 and have always found Chris and his team to be polite and helpful, with the flexibility to meet our needs as a busy company. Over a period when our company was rapidly expanding, CLH Accounting was always on hand to offer help and support with accounting, taxation and software queries. In addition Chris has certainly helped me to understand book-keeping over the years and how to use our Sage software to its full potential." Emily Rodgers - Joint Managing Director, Microbiological Validation Services Ltd.
"As we are a small family partnership we needed an accountant we could relate to. Chris is a very affable individual, he's easy to talk to and is always on hand to offer his expertise when needed. 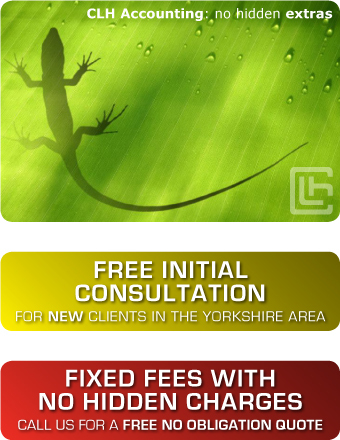 We have recommended CLH to other small businesses who now work with Chris on a regular basis." Peter Branson - Partner, PB Graphics. "We have used CLH Accounting since 2011, the advice we have received has resulted in considerable savings on our tax bill and made our company run more efficiently. When we needed advice or information this has always been dealt with in a timely, courteous and efficient manner." Michael Britton - Managing Director, MJ Woodworking Ltd.